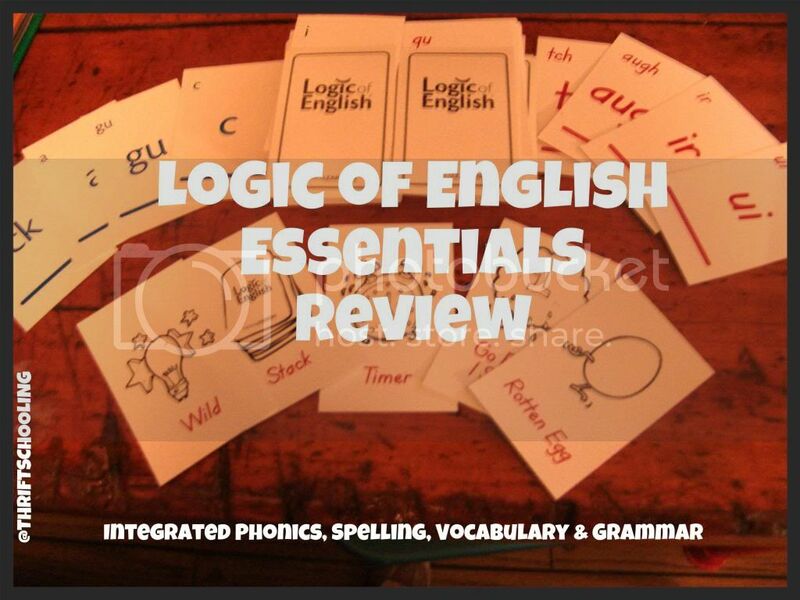 The Logic of English Essentials program combines phonics, spelling, vocabulary and grammar into one comprehensive curriculum. 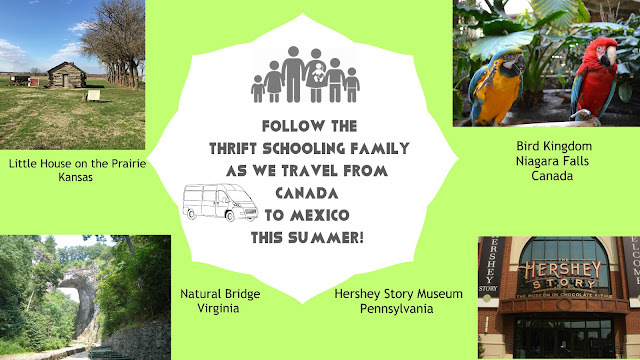 This program is directed towards students ages seven and up, but is easily adapted to work with emerging readers ages five and six and for ESL learners of all ages, including adults. I am currently using the Essentials program with my six year old with great success! The program is packed full with educational games and activities which I allow my five year old to join in on as well. This curriculum is so diverse in activities and student involvement, my highly active six year old doesn't seem bored but actually enjoys "English class." Other supplemental products are also available to enhance your experience. Currently there is a deal going on where you can receive all of the above plus several more supplemental materials such as a spelling journal, for $187.20. You can view the complete package here. When talking with other moms who are considering homeschooling one of the first things they fear is high school math. The second. PHONICS! Ahhh, how in the world can I teach my child to read? It's a scary thought to place such a large responsibility in your hands. But honestly, if you have decided to take the plunge and homeschool, then all you need is to get your hands on the right materials. My kids are still young and I'm still in the beginning stages of reading, spelling, the whole nine yards. But honestly, I am loving it. I'm learning some of these rules right along with them and it's interesting seeing the why's and how's of the English language! The concept of Phonograms and Spelling Rules are nothing new. And yes, they are found in other quality curriculum. 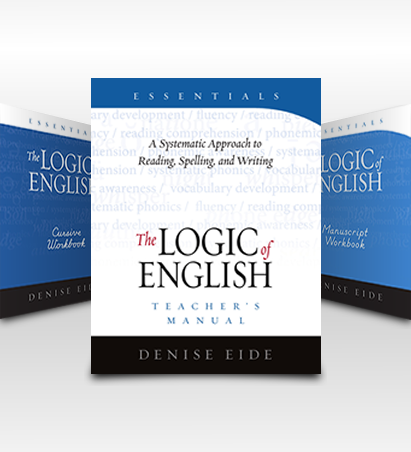 What makes Logic of English different is it combines the two in an understandable way. The curriculum drills these phonograms into the student's brain in a way that is entertaining. What are phonograms? If you are curious a FREE list can be viewed here. The phonogram cards provide the basic phonograms in the English language on one side and the different sounds, as pictured above on the other. The Spelling Rules are printed on similar sized cards as well, fairly large and good quality card stock. When a new rule was introduced, I would use the white board on our easel to go over the rule. I would not only use the activities recommended, but since my children are younger, I would come up with some of my own games using the white board to give them some extra practice learning. To make things interesting, I would even sometimes take transparency paper and tape it up around the room with their names on it. I would call out a spelling word or sound and have them find their area on the wall to write their answer. They loved this. Keeping them active and involved helped keep things moving along. The Spelling Rule flash cards provide you with a rule on one side and several examples on the back. A great reference. A FREE list of the Spelling Rules can be found here. Our favorite part of the curriculum were the games. We received two sets of flashcards with each letter and each phonogram. In the beginning, the lessons suggest different games that can be played with the given cards. The rules of the games are outlined in the Phonogram and Spelling Game Book. My five year old enjoyed being included in the games and I would even have my three year old sit in to learn her basic letter sounds in the beginning. At first I was nervous to use this program since it is directed towards slightly older students, but when I received the book I saw a page geared towrds teaching Essentials to five and six year old students! It is recommended to teach 5-60 minutes per session, depending on the student. And, the best part, the schedule states to only teach one lesson every two weeks! The lessons are long, with several worksheets, activites and suggestions. Breaking up each lesson over a two week period just makes sense because there is so much to cover in each lesson. If my children were older I could see getting through a lesson a week but this pace with lessons ranging from 15-20 minutes in length a couple times a week is working wonders for my six year old. Again, my five year old works along with the older one with the games and activities and he is learning as well! It is suggested at this age to involve the child with many hands-on activities such as salt boxes, a whiteboard or chalk board. I found ideas such as these worked well for us! What didn't work so well were the spelling lists, simply because of the age of my children. The first list was at their level but as soon as we got to the second one it was way too advanced. Other than that, I plan on using this curriculum throughout the year and into next!